When scholarship hunting, you’ll discover that scholarships require certain documents. In fact, the caring truth is if you’re missing even one document, your application will be rejected. Spending a few hours over the summer pulling together your scholarship documents will pay off big time. Why? Because you’ll be able to easily pull all the documents you need from your files and off your computer. This let’s you apply for the scholarship right away and makes all-nighters and missed deadlines a thing of the past. The majority of scholarship deadlines land between October and March—right in the middle of the school year when academics, athletics, and activities are the busiest. The good news is that you can use your Summer vacation months to slowly pull together your Scholarship Portfolio documents. This let’s you hit the ground running in the Fall when the deadlines begin! Official Transcripts—Contact your school to request your Official Transcripts be sent to the mailing address of the scholarship organization. We suggest you allow 2-4 weeks and then follow up with them a week or two before the deadline to make sure they’ve received your transcripts. Another way to handle this is to request your college or high school send you transcripts in individually sealed envelopes so you can mail them yourself. Once opened, though, it’s no longer an “official” transcript. However, we suggest you open one to scan into a PDF document. 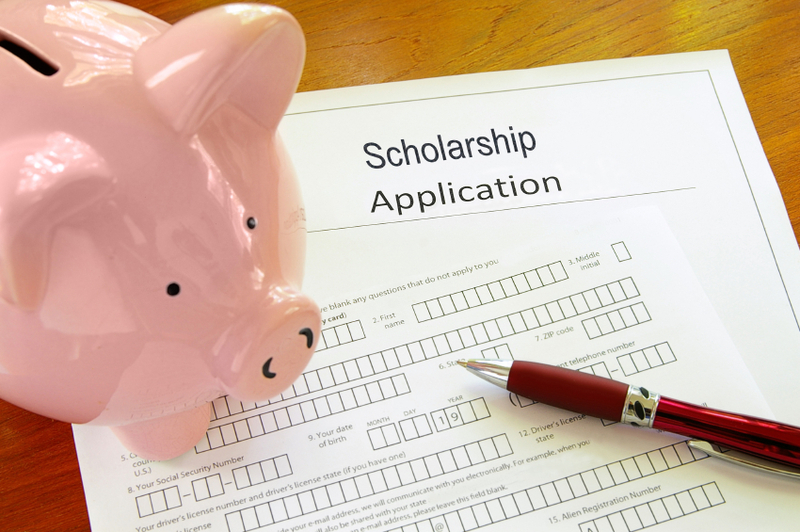 Not all scholarships require an official transcript; some just ask for a copy or file. Resume—Type your resume in Word or another word processing program, and export it as a Word file or PDF. You’ll have it to send electronically, to print out and mail a hard copy, and to cut and paste into scholarship applications. Having it in Word makes it easy to keep your resume up to date. Make sure it’s typo-free, contains all your contact information, jobs you’ve held, and any community service or volunteer work. Test Scores—If a committee accepts unofficial test scores, you’ll want to save and print out your test-score results. Official test scores have to be sent from the testing organization. For more information and fees on SATs, check here or see if you’re eligible for fee waivers. For ACT scores check here. Tax Returns—Most “need-based scholarships” award money based on economic factors and will require Federal taxes. Make copies of your Federal tax returns (or your parents’) and scan them. You’ll need to do this every year. If you send them electronically, make sure you redact (or black out) the social security numbers on the tax forms. Proof of Enrollment—If you are a high school student, this will be a copy of your Acceptance Letter. If you’re already in college, ask the Registrar for a letter or other proof of enrollment. Be sure to request this every semester so you have it handy. Proof of Residency—This can be as simple as a copy of your Driver’s License. FAFSA/SAR—All students who wish to be considered for financial aid must fill out the Free Application for Federal Student Aid (FAFSA). Financial aid offices at colleges and universities use the FAFSA to determine if you are eligible for grants, loans, and work-study programs. You must file a new FAFSA every year in order to be considered for financial aid. These forms are available in January. Once you’ve completed your FAFSA, you’ll receive an SAR report. If you file your FAFSA electronically, you will be notified by email. This permits you to send the FAFSA/SAR on to the scholarship committee. If you file with a paper form, you can scan and export these as PDF files or copy and mail them. Age Verification—Again, you can use your Driver’s License to verify your age. Photo—No, not a selfie. Ask a friend or family member to take a photo of you (preferably a “headshot” of your face and shoulders). For best results, stand in front of a neutral background, like a wall. Make sure you look your best and smile! If you need to crop the photo down to a headshot, use an image editor and export the file as a .JPG. Some scholarship committees request a photo that they can use on their website to announce winners or use in promotional materials. They may also send you a special photo-release form or ask you to write an email granting them permission to use your photo. Be sure to follow their directions. Check out Can’t Afford a Photographer? How to Get a Great Headshot Anyway from The Daily Muse. Not sure if your photo is a good one? I like PhotoFeeler because it’s a free and anonymous way to get crowd feedback (plus it’s fun to rate photos!). Application—While every scholarship has it’s own application, you can create a generic application document in Word. Start by copying common questions you come across on applications. (This will help you identify themes for essays and personal statements too!) Type in your answers or copy them from an actual application. While this might seem like a lot of work in the beginning, it will save you substantial time when you start submitting dozens of scholarship applications. Once you’ve created this document, you can easily cut and paste the answers into new applications (and you’ll know they don’t have typos). Need some extra help creating a Scholarship Portfolio that rocks? Check out our Scholarship Boot Camp. It’s a great way to connect with other students who want to avoid student loans and graduate debt free. You’ll also have the benefit of a professional writers and editors to help you create outstanding essays, personal statements, and more. When you win your first average scholarship, you’ve not only paid for the camp, but you’ll have enough money left over to pay for a semester of books! Sweet, right?